Poetry readings come in several flavors–minty, spicy, meaty. Last evening the Third Thursday reading at Caribou Coffee in Westminster CO was of the more nourishing variety. The feature reader was Seth, that’s it, Seth. He spoke for about half of his allotted twenty minutes about the background of his new book, A Black Odyssey. I’ve been hearing about his book and have heard snippets from it, but having Seth explain its inception deepened the poems immeasurably. It also helps that he brings to the mic a sonorous voice and confident presence, the products of many years as a performing poet and musician. In college he studied Homer’s Odyssey and Milton’s Paradise Lost, and Seth did what creative people do: he saw connections, connections between the two classics and each to his own life. He saw in Telemacus, Odysseus’s son, himself as a young man going into the world to find maturity. In many of the Greek mythical figures Seth saw aspects of his life and, indeed, the lives of most people. Who can argue about the power seeking of Zeus or the withdrawal from the world of Hades? The big concept, though, is the expulsion from Eden and the search for Paradise. As a young Black American, Seth felt the eviction from the good life in many ways, but he also saw the possibility of a better life. And he seems to have claimed it, not necessarily in a religious search but in a broad search for meaning. 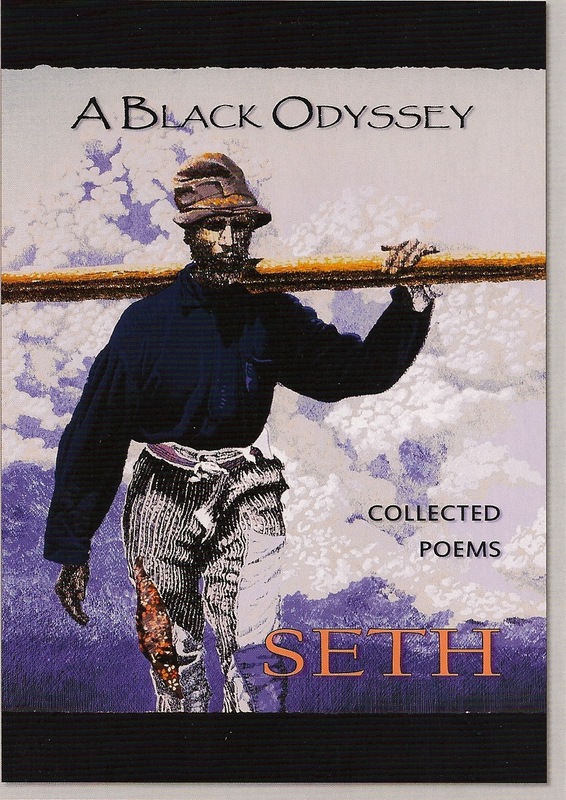 Seth uses the Greek Odyssey as a scaffolding for his own poetry, thirty years worth. And his book transcends the literary riff that often accompanies collections of poetry. His is a solid connection and the myth nurtures his own journey. This is no “Look how well read I am” pose. Would that we all had such deep connections to poetry. Seth’s book is available at Tattered Cover in Denver and online at Amazon.com.